Want to hide your feet in the soft white sand? Want to sit on the beach and let the ocean breeze refresh you? Then we have the perfect place for you. Contact us and let us take care of all your vacation needs. We do all the work for you. Whether you are searching for seashells, building sandcastles, or surfing the waves, we have the perfect condo/resort to accommodate your family dream vacation or a romantic getaway. Take a look around and you will like what you see. We are a family friendly, owner operated condo rental. If you are looking for an affordable vacation in a secure gated community on the ocean, then you are at the right place. Our condo is located at the Tops'l Racquet & Beach Resort, in the Tides building on the 3rd floor, unit #311. We are the last unit at the end of walkway which eliminates the foot traffic and noise. It's a very peaceful and quiet location. You will experience the luxury of a beautiful resort condo with all the extras to make your vacation a memorable time away from home. This fabulous condo and resort is loaded with amenities of 2 pools and a hot tub, tiki bar, poolside restaurant, large exercise room, spa, racquet ball courts, basketball courts, private beach for resort guests only, canopy and chair rentals, and much more. We are only minutes away from unlimited attractions, boating, fishing, shopping, restaurants, snorkeling, para-sailing, and many activities for all types of interests. We look forward to hearing from you and will be happy to accommodate your vacation plans. The condo was very well taken care of and clean. My family stayed over Spring Break and there was never an issue with the elevators being too full or slow. The pools were amazing!!! When we left the property, we were very close to plenty of things to do. I would definitely stay here again. Most relaxing beach vacation ever! Thank you Deborah for offering this great condo. Everything you need for a week at the beach and so much more. Our family sincerely enjoyed the cleanliness, convenience and the quiet of this unit. We will certainly be booking a return visit very soon! Even though we chose to evacuate for the hurricane, we still got to enjoy the place for a few days. We hope to make it back soon. The place was very clean, and Deborah was awesome to work with. 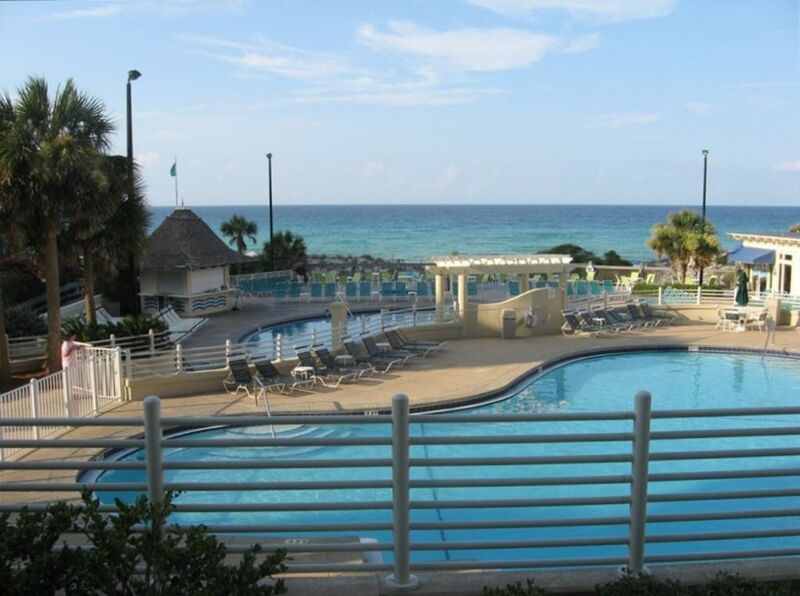 Fantastic place to spend you Destin vacation! Close to everything with so many amenities within a short walk. You'll love it! Enjoyed and will be returning again and again. The condo was clean and equipped with all the necessities. The beds were comfortable as well as the fold out couch in the living area. Owners communicated all the details needed prior to our arrival. Tops'l has great amenities and is a wonderful place to stay. RATES MAY BE SUBJECT TO CHANGE UNTIL RESERVATION IS CONFIRMED.